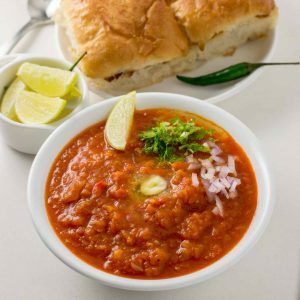 Recipe for easy home style pav bhaji recipe. Favorite Indian street food. Recipe with step by step pictures. 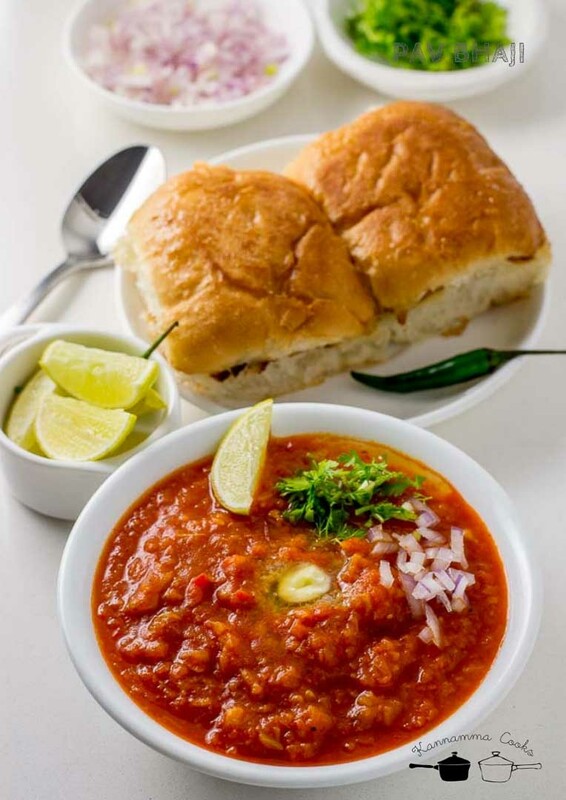 Pav Bhaji is one of my sons all time favorite food. Bread toasted in lots of butter served with a bhaji made with more butter. 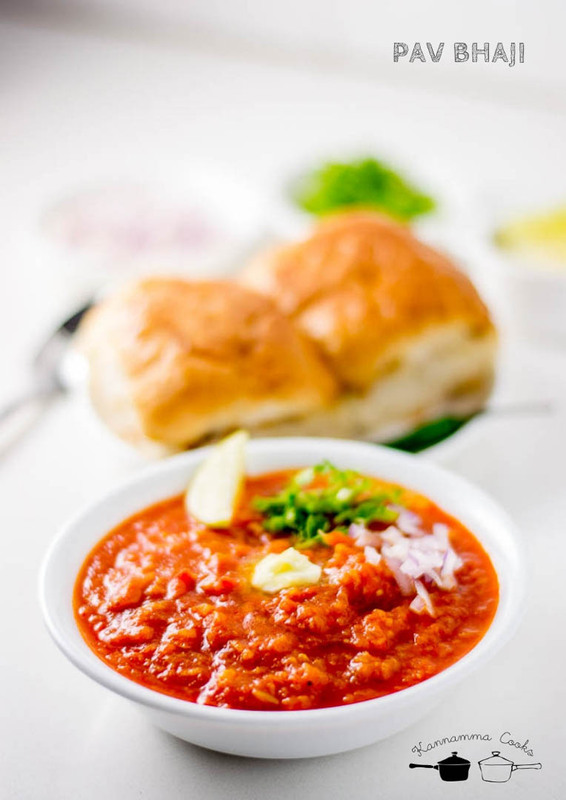 Its one of India’s popular street foods and here is my version of pav bhaji. First we will cook the vegetables for the bhaji. 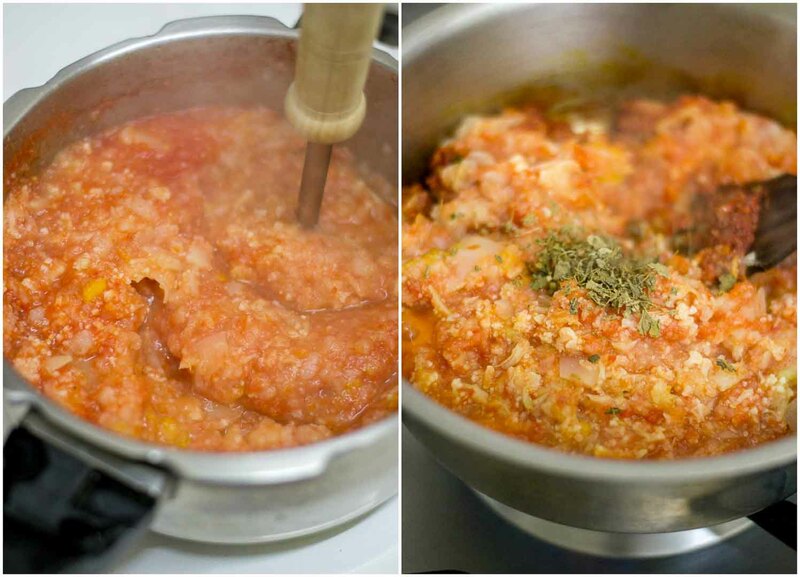 I puree the tomatoes in a mixie and cook along with the vegetables as it gives a smooth sauce at the end. 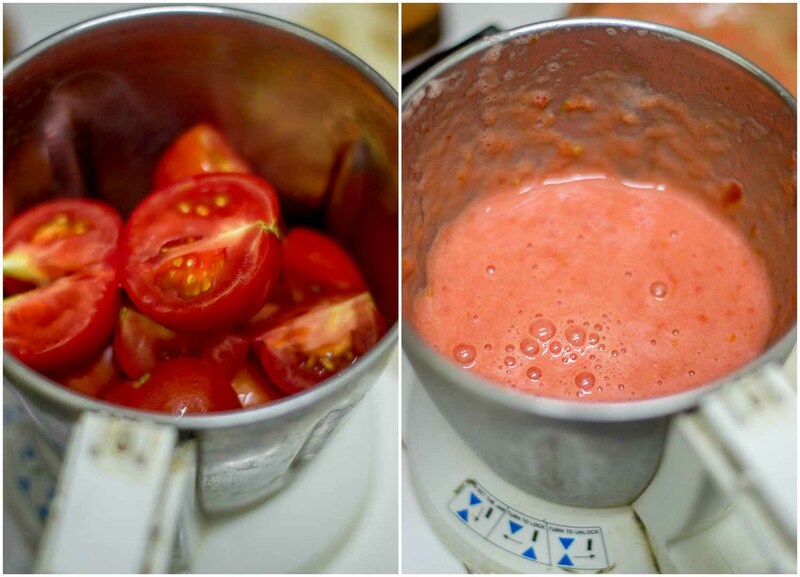 Puree the tomatoes in a mixie to a paste. Take a pressure cooker and add in the cleaned and chopped vegetables. Add in the tomato puree to the veggies. Add in a cup of water and half a teaspoon of salt and cook for 3 whistles. 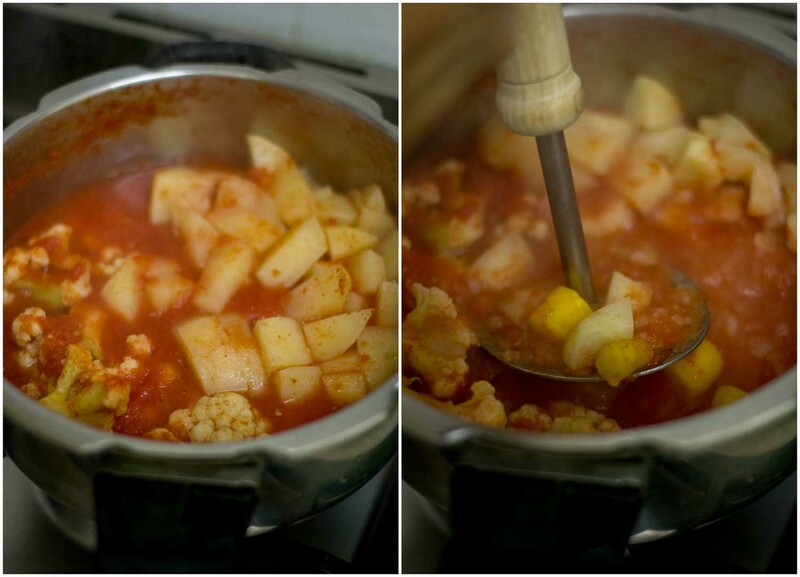 Remove from heat and wait for the pressure from the cooker to settle naturally. I have used potatoes, green peas, cauliflower and carrots. The vegetables you use is more of a personal choice. I like to use these vegetables. Some people also cook capsicum and beans. So its totally up to you. Once the vegetables are cooked, mash the veggies and set aside. Heat butter in a pan (be generous with the butter) and add in the finely chopped onions, capsicum (I have used the red one for colour. Green capsicum works fine too! ), green chillies and ginger garlic paste. Add in the remaining salt and cook for 2-3 minutes until the onions are soft. 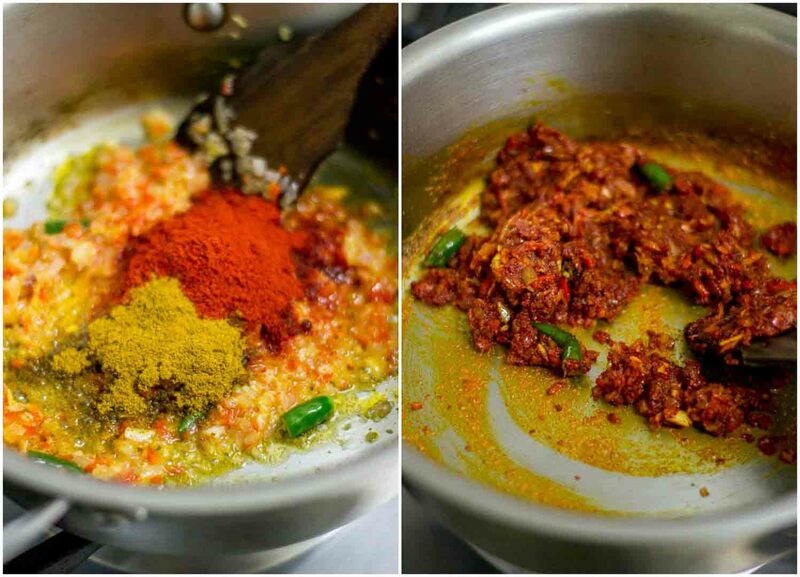 Add in the pav bhaji masala powder (store bought) and the kashmiri red chilli powder. I do not add any artificial color to the bhaji. The Kashmiri chilli powder gives a very nice color to the bhaji. Saute for a minute. Add in the mashed vegetables and kasuri methi. Mash everything in the pan again. 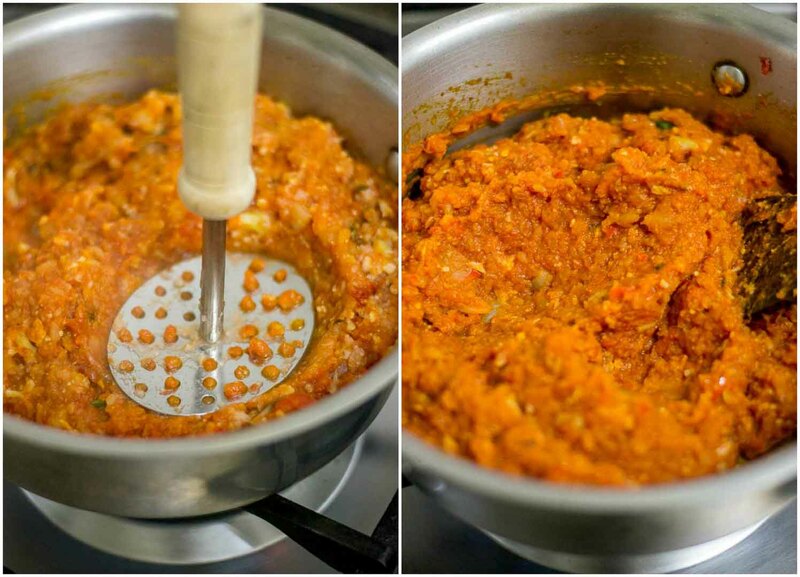 Add in a cup of water to adjust the consistency of the bhaji. Let the bhaji simmer for 5 minutes. The bhaji is ready. 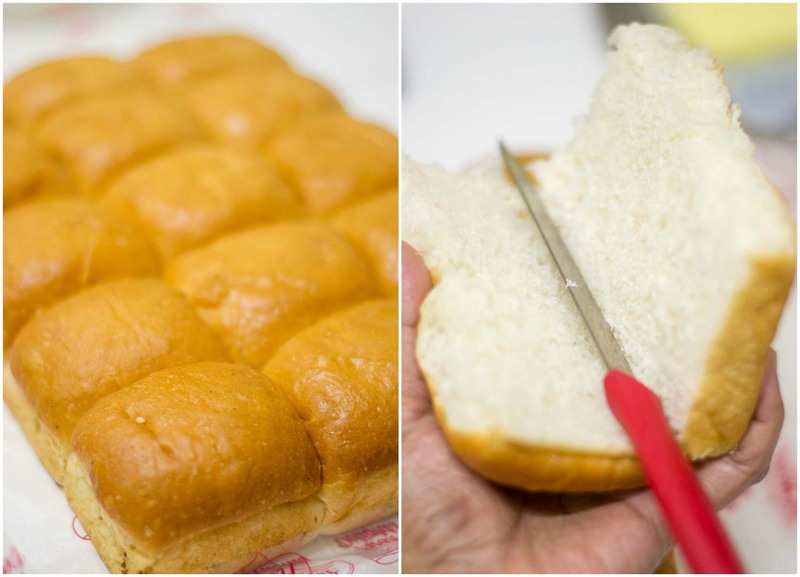 Now, lets toast some pav buns. Cut the buns in half and apply butter. Toast the buns on a tawa until golden. Pav bhaji is ready. While serving, serve the bhaji and buns with a wedge of lime, chopped onions and garnish with coriander leaves. Top each bowl of bhaji with a teaspoon of butter. 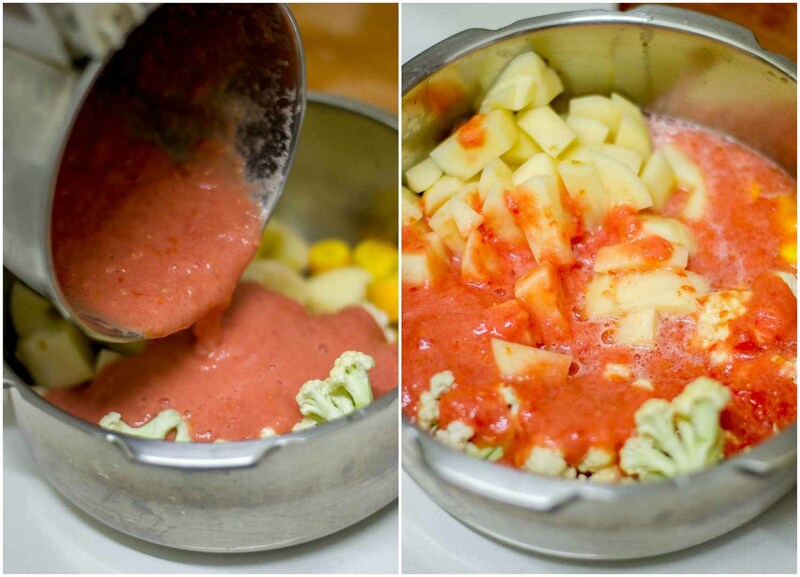 Puree the tomatoes in a mixie to a paste. Take a pressure cooker and add in the cleaned and chopped vegetables. Add in the tomato puree to the veggies. Add in a cup of water and half a teaspoon of salt and cook for 3 whistles. 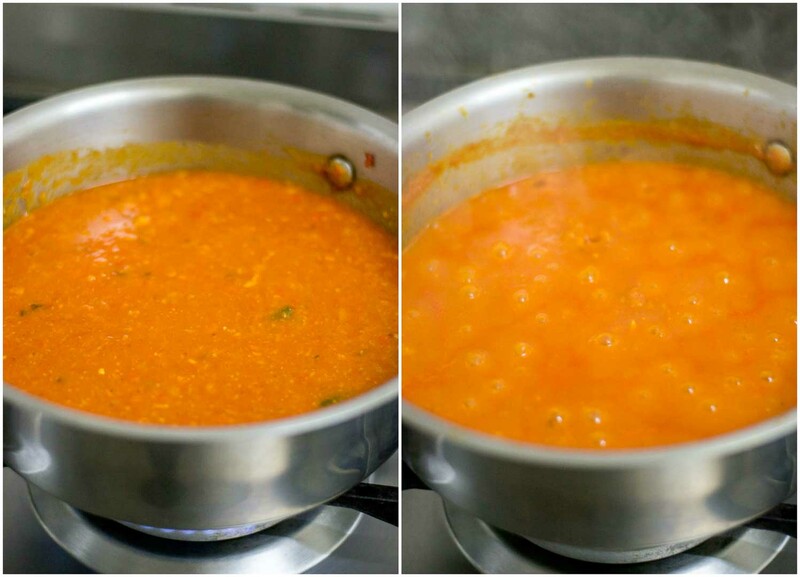 Remove from heat and wait for the pressure from the cooker to settle naturally. Once the vegetables are cooked, mash the veggies and set aside. Add in the mashed vegetables and kasuri methi. Mash everything in the pan again. 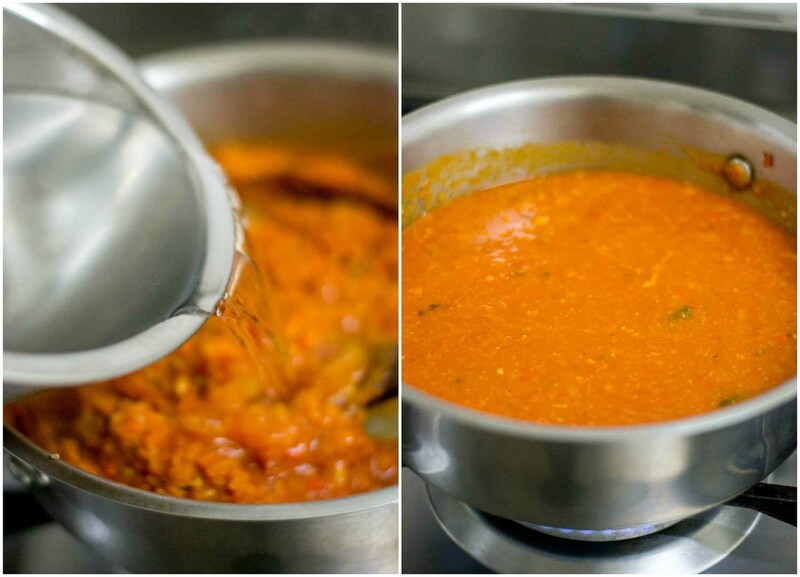 Add in a cup of water to adjust the consistency of the bhaji. Cut the buns in half and apply butter. 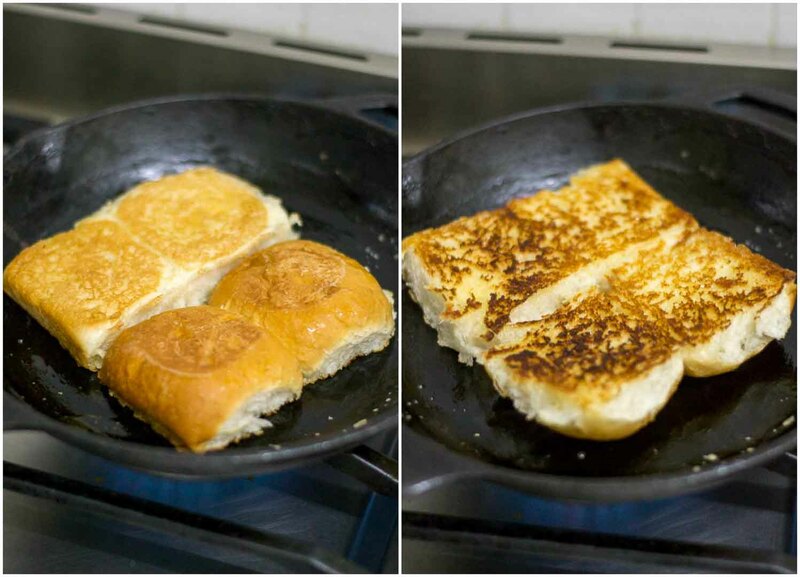 Toast the buns on a tawa until golden. Pav bhaji is ready. 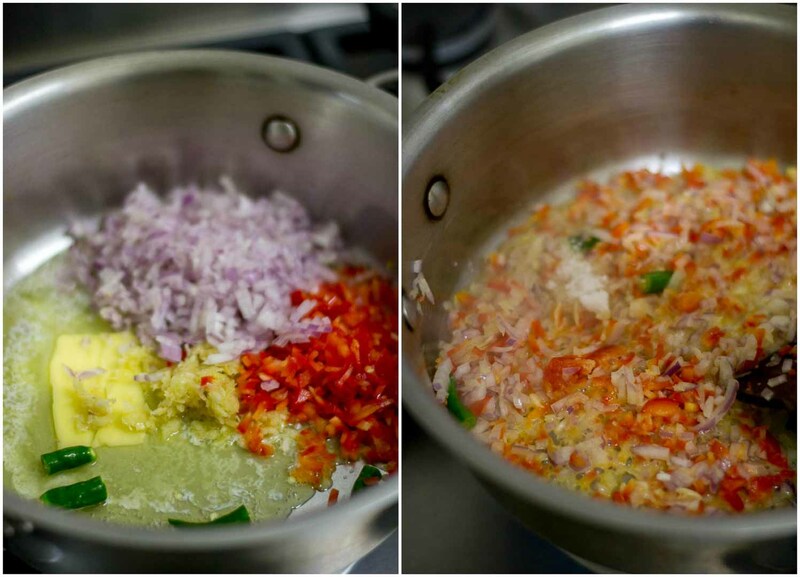 While serving, serve the bhaji and buns with a wedge of lime, chopped onions and garnish with coriander leaves. Top each bowl of bhaji with a teaspoon of butter. Tried many recipes but it had too many steps. This one was easy, adding tomato purée at the beginning saves lot of time. It was good and everyone enjoyed at home! Thanks.